This gentle lotion purifies and unifies the skin. All over the face, neck and cleavage. Apply to the eye area once or twice a week. The first week: Saturate moistened cotton pads with Lotion P50W and apply to the face, neck and cleavage. Thereafter: Saturate dry cotton pads with the lotion. 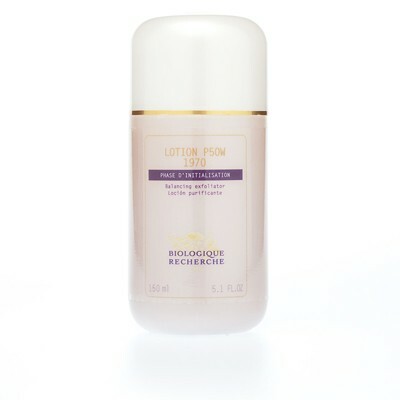 Remove Lotion P50W with L’Eauxygénante.